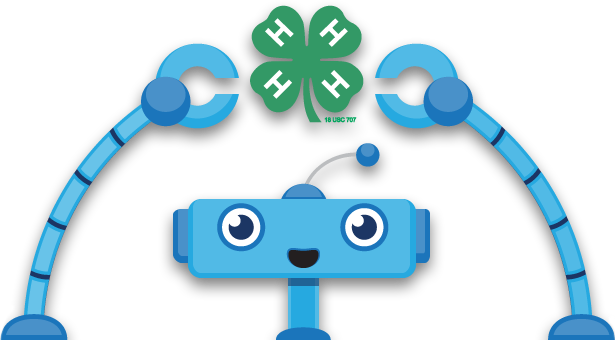 Extension Agents play an important role in the 4-H robotics program. Through your hard work and dedication, youth have an opportunity to participate in hands-on educational fun that teaches them the technical skills, as well as life skills, necessary to be successful in a digital economy. Realize that robotics may start off as a project and evolve into a club — it’s OK to start small! As the Extension Agent, you are eligible to check out resources from our Robotics Lending Library, provided those resources are available. Please notify the State specialist by email and then fill out the appropriate information on your selection via the Robotics Lending Library Request Form.